Again, the talking heads are claiming that there is a pattern that overtly implies that the Dow tends to follow the DAX. When the markets were free or had some elements of freedom in them, one could give some credence to these patterns, but today where fraud and manipulation are the order of the day……. Such patterns have to be taken with a jar of salt. By maintaining an ultra-low interest environment for an unusually lengthy period of time, the Fed has fostered an environment that rewards speculators and destroys savers. Nothing could be more insane, but this is the predicament most people find themselves facing today. The only pattern that matters today is whether the Fed stops manipulating the markets or not. So for now, it could be quite dangerous to base major decisions on patterns only. Furthermore, if Peter thinks, debt is good, then there is a strong chance that Paul will follow suit. Central bankers in Europe and the U.S. and a host of other nations have created the environment that promotes speculation; the era of easy money is not going to come to an end in the near future. 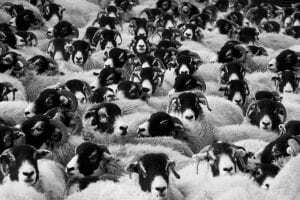 Do not follow the crowd or popular experts, for other than telling a good tale, their so-called expert advice is best left for the fishes. 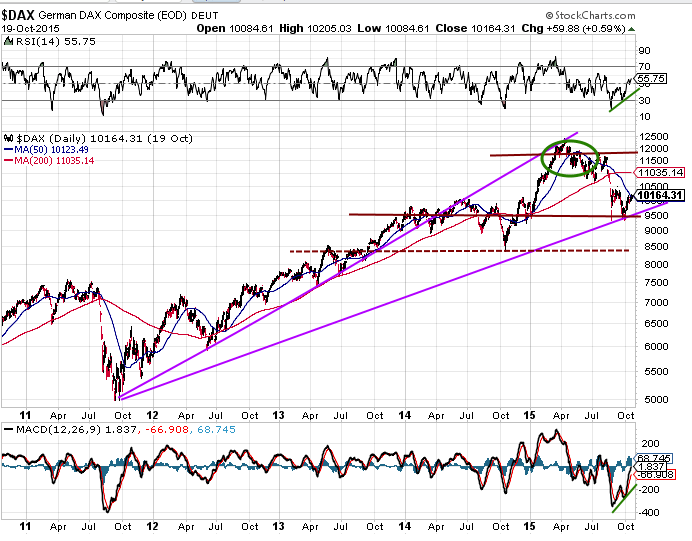 Thus, we feel that the DAX like the Dow is paving the way for a much stronger move up, after a test of the current lows. 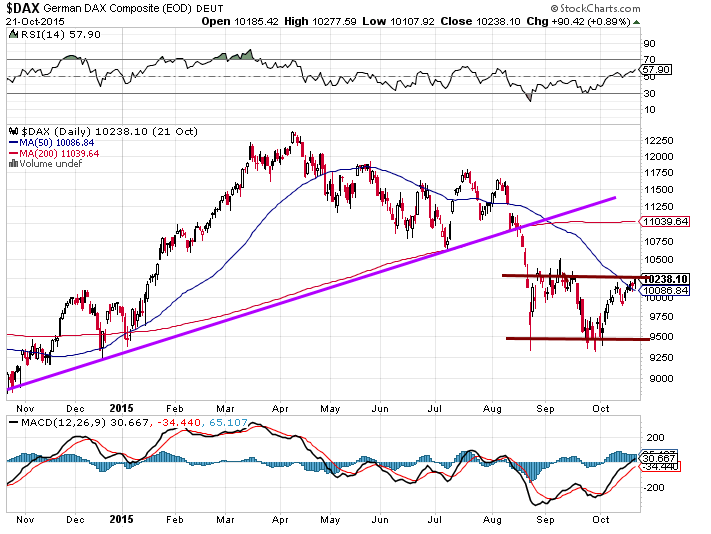 If the DAX closes below 9,000 on a weekly basis, it should quickly dip to the 8400-8500 ranges. We should note though that the odds of this coming to pass are rather low. The more likely scenario is a test of the recent lows. If the DAX happens to trade down to the 8400-8500 ranges; do not give into fear and recognise it for the opportunity it really is. Buy with gusto. Long term: a monthly close above the 12350-12400 ranges, will set the path for a series of new highs. Our trend indicator is dangerously close to turning positive, we suspect it will do so when the DAX pulls back and test its recent lows. One easy way to play the DAX is via the ETF DAX. Those seeking more leverage can use futures or purchase calls on DAX. Long term: a monthly close above the 12350-12400 ranges, will set the path for a series of new highs. Our trend indicator is dangerously close to turning positive, we suspect it will do so when the DAX pulls back and test its recent lows. One easy way to play the DAX is via the ETF DAX. Those seeking more leverage can use futures or purchase calls on DAX. The DAX is currently running into a zone of resistance; the moment it closes below 10,000, the path for a test of the 9500 ranges will be set in motion. Until that point, it has a chance of trading all the way to the 10,500 ranges before pulling back. 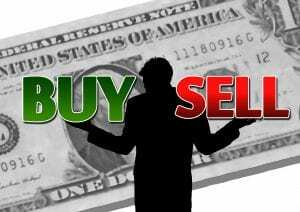 We would view all strong pullbacks as buying opportunities. Wait for a pullback before jumping in. For those of you looking to buy german stocks, the following candidates might make sense. SAP and FMS DB, ADDYY and finally AIXG, which is the most speculative play.